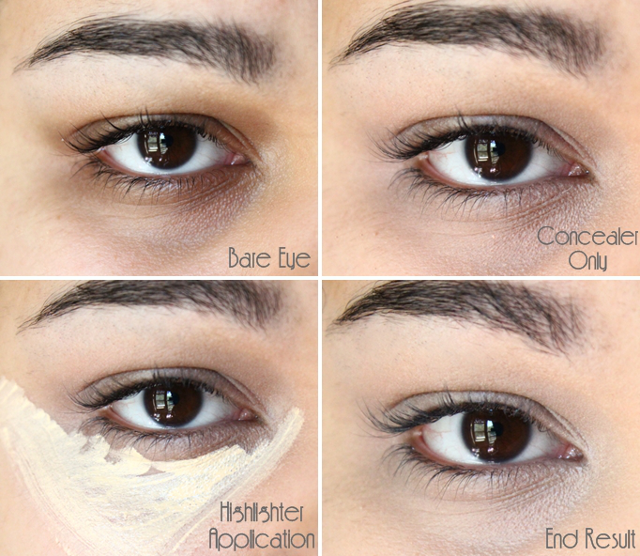 I am always looking for new ways to perk up my eye area, which pretty much lacks brightness and radiance. Concealer is my best friend in this case, but I am often left wanting to do more to hide these pesky dark circles of mine. 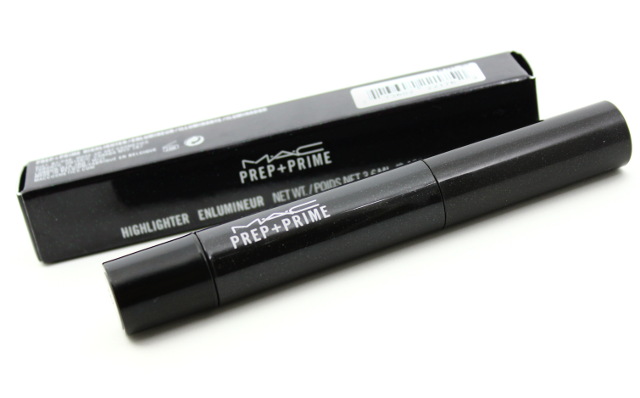 In comes MAC's Prep + Prime Highlighter to save the day. I can't believe that I didn't invest in this product sooner because it really works wonders! MAC's Prep + Prime Highlighter is available in four color selections-light boost (yellow toned), radiant rose (pink toned), bright forecast (peach toned), and peach luster (bronze/orange toned). I decided to go with light boost since the yellow hue is great for neutralizing and brightening. This highlighter comes in a click pen-style, and contains a brush applicator that allows for precise product placement. Apart from being a highlighter, this product also doubles as a primer. So you are getting two benefits in one with this-a brightened look, and prolonged wear time.You can use this over or under makeup. This highlighter is not just limited to the under eyes. It can also be used to brighten up other areas of the face like the bridge of the nose, tops of cheek bones, and temples-the options are endless. The consistency of this highlighter is on the thinner side, but it packs a whole lot of punch when it comes to coverage. I think the coverage is just phenomenal for being toted as sheer. 1-2 clicks of the pen usually distributes enough product (for both eyes) to give me the kind of coverage that I like. This highlighter never looks caked on my eye area, and it feels super lightweight on. It doesn't settle into my fine lines either, which is a huge plus. Now, let's see MAC's Prep + Prime Highlighter in Light Boost in action (pictorial above). As you can see in my bare eye picture, I have dark under eye circles as well as discolored lids. Although concealer helps a bit, you can still see the dark shadows around my eyes-this is where MAC's Prep + Prime Highlighter comes in. After applying concealer I brush on MAC's Prep + Prime Highlighter on top, in a triangular shape under my eyes, and then I gently blend it out using a damp beauty blender sponge. Immediately after I am done blending, the difference in the appearance of my eye area is very apparent-at least to me. I notice that the area looks much brighter, radiant, and even a little lifted. I love it! I think it's pretty amazing that a setting powder is optional for me when it comes to MAC's Prep + Prime Highlighter. I have really oily skin and I always have to set my concealers with a powder to help it last. But not with this! I experience absolutely no creasing throughout wear time, and by the end of the day, this still looks pretty good, with very little fading. 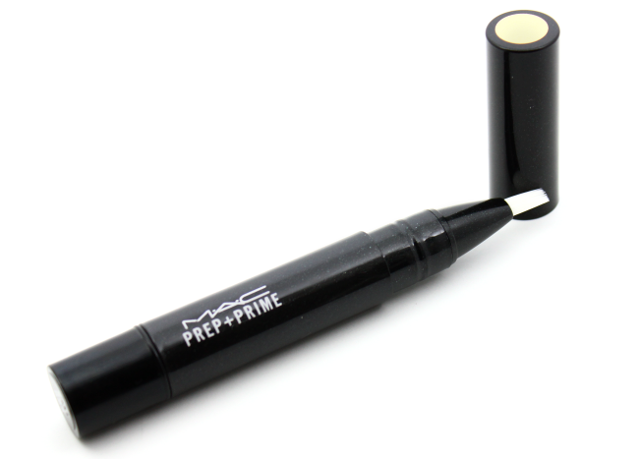 MAC's Prep + Prime Highlighter in Light Boost is a total repurchase for me. I can't recommend it enough if you are looking for something that will provide brightness and luminosity to the face, without feeling heavy or looking unnatural. Needless to say, I am in love.